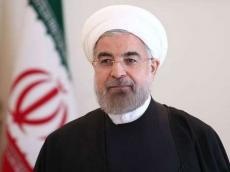 Iranian President Hassan Rouhani hailed the European Union’s decision to stand by Iran after Washington’s withdrawal from the 2015 nuclear deal between Tehran and world powers. “The EU’s decision to stand up against the US in support of Iran following Washington’s pullout (from the JCPOA) was a historic move,” Rouhani said on Sunday addressing academics in Tehran, IRNA reported on October 14. He added that the US expected Iran to leave the deal as well, but Iran decided to remain in the international agreement to thwart US plots. “(US President Donald) Trump failed to gain world’s support for his decision to pull out of the JCPOA,” Rouhani said.